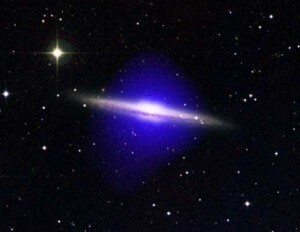 How accurate is Insterstellar's black hole? 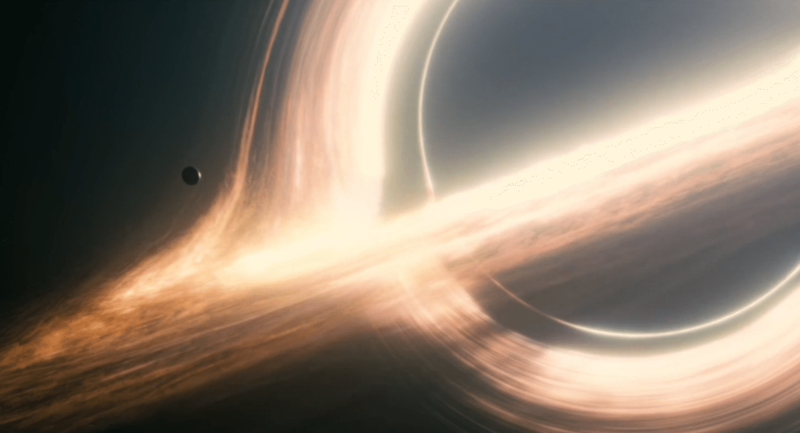 The movie Interstellar features a fast rotating, supermassive black hole known as Gargantua. The Hollywood imagery of Gargantua, with its immense gravity warping light around it in a realistic way, has been praised for its integration of real science into cinematic storytelling. But despite it’s realism, Hollywood enhancement still played a role. Now a new paper in Classical and Quantum Gravity peels back the illusion and shows the Hollywood star without makeup or Photoshop. 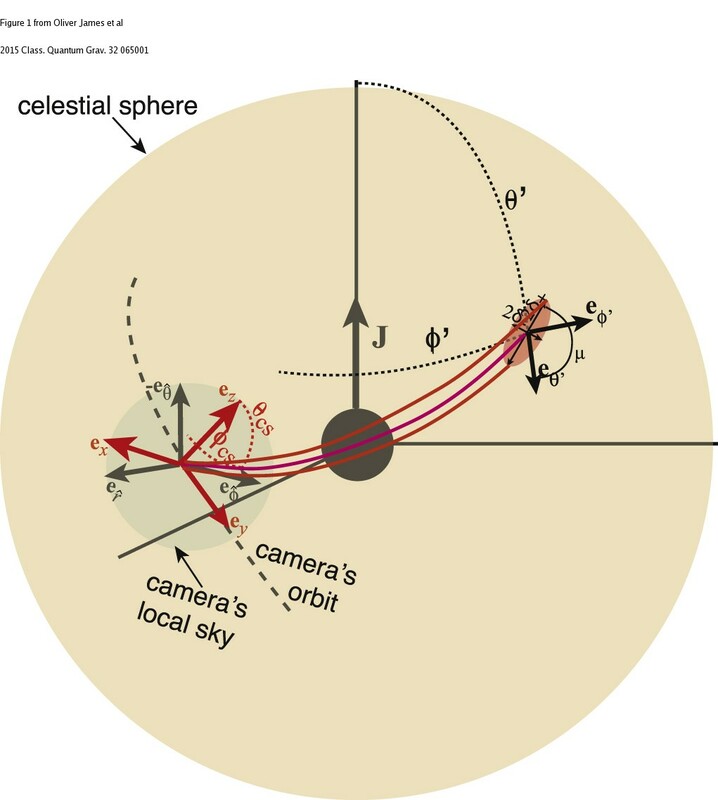 Using ray bundles to determine the view. The paper itself is freely available, so it’s worth checking out. Much of it details the challenges of rendering the black hole at IMAX resolutions. Since the film required Gargantua to be rotating at nearly the maximum theoretical rate, the bending of light is effected by the rotation through what is known as frame dragging. The black hole is also surrounded by a disk of gas and dust, which orbits the black hole. The hot material gives a source of light so that the black hole is visible, but its motion means that the authors had to calculate both how the material moved and how its light was distorted dynamically. Because of the complexity, the team couldn’t use “ray tracing,” where the path of a single beam of light is calculated. Instead they used ray bundles to approximate the effect. Throw the location and motion of the “camera” into the mix and even the approximation is extremely complex. The paper also discusses the tension between the scientific desire for realism and the Hollywood desire for visual appeal. Because the black hole is rotating so quickly, and the gravity near the black hole is so strong, they greatly affect the visible light around it. The rotational motion of the material creates a Doppler effect, causing the material rotating toward the camera to be shifted toward the blue end of the spectrum, while the material rotating away from the camera appears deep red. This is combined with the fact that light from the approaching side appears much brighter than the receding side. As a result, the fairly accurate rendering shown above lacks visual appeal. So Interstellar‘s director Christopher Nolan opted for a version where the Doppler and brightness effects were minimized. It was also decided that blurring and lens flare effects were added to make it more in line with the overall movie. Easy, breezy, beautiful. Credit: Interstellar. It’s hard to be too critical of the cinematic version. Just as the actors are enhanced through makeup and lighting to make them more attractive to audiences, the black hole imagery was enhanced for visual appeal. But the enhancement was done on top of a real science. That’s a big change from the usual approach of simply making things up regardless of what science tells us. Hopefully Interstellar will demonstrate that science fiction movies can aspire for scientific accuracy while still creating interesting tales.